Speaker and Founder of Happy Place Leadership and Chief Executive Officer of A Legal Crook Productions, Inc. She has transformed the lives of women globally by empowering them to get their second win (d). Terri’s courage and determination has inspired audiences worldwide and helped countless audiences break through to discover their untapped talents and infinite potential. 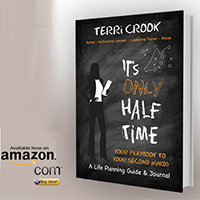 Terri is the author of “It’s Only Half Time - Your Playbook to your Second Win (d)” published by Mynd Matters Publishing. She continues her journey with her audience by providing a clear and practical blueprint for personal success. Terri guides women in navigating the workplace, embracing self-promotion, and advancing their careers. Her focus is on Building Women Leaders by transforming mindsets to heighten confidence levels towards leadership. Terri’s extraordinary story of transforming her own life from mismanagement of self, money, time, career and relationships is the inspiration behind her mission to teach others that it is possible to do the same. 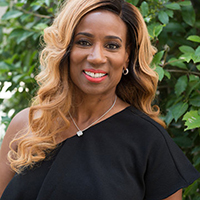 As a Career Coach, Terri is respected for her mastery of teaching people how to accomplish immeasurable goals and tap into their limitless potential by redesigning a plan to move out of their comfort zone and into their calling zone through speaking engagements and workshops. Her engaging personality and interactive style have captivated intimate audiences of 50-100 and fascinated large crowds of over 1000. A noted media personality who has appeared on the stage with renowned speakers such as Arun Gandhi, the grandson of Mahatma Gandhi, Ed Bacon, one of Oprah’s Super Soul Sunday Conversationalists, May McCarthy International Speaker and Business Strategist, Cathy Hughes of Radio One, Dr. Gwendolyn Goldsby Grant, Psychologist and former contributing writer for Essence Magazine as well as Les Brown, International Speaker and Trainer, as one of his platinum speakers. Terri is also celebrated for the impact she has on the lives of attendees at notable events such as the Women of Color Empowerment Conference, the Florida Attorney General’s Youth Rally Against Crime, the MAD DADS Conference, the Association for the Improvement of Minorities IRS National Conference, the Metro Broward Entrepreneurial Institute and the Universal Truth Center Women’s Retreat As an Emcee and Event Host, Terri brings the “WOW” factor, creating unforgettable experiences. She keeps the program moving with interactive activities, laughter and spontaneity. It’s a treat to engage in the fun while enjoying her passion! Terri has the gift of keen observation and captivates audiences with re-enactments full of insightful and timely material. Terri’s ability to impart life lessons through her sense of humor and energy is pure magic. Terri was recognized by President Barack Obama with a Presidential Lifetime Achievement Award for her philanthropic community and outreach services. 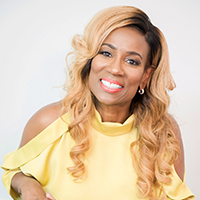 Terri is a proud member of Delta Sigma Theta Sorority Inc. and is currently expanding her reach through the production of a television talk show to inspire and move women to action to live their dreams.